Project Description: USAID Boresha Afya – Southern Zone is a five-year project that aims to support the Government of Tanzania (GoT) in increasing access to high quality, comprehensive and integrated health services, with a primary focus on HIV/AIDS, maternal, neonatal, child and reproductive health, malaria and nutrition outcomes. USAID Boresha Afya – Southern Zone covers geographic areas with high disease burden in Tanzania, namely Iringa, Njombe, Morogoro, Lindi, Mtwara and Ruvuma. The Youth Advisor will function as part of HIV and SRH service team to provide technical leadership in implementation of HIV and SRH services to adolescents and youth for the USAID Boresha Afya Southern Zone program. The Youth Advisor will be reporting to the Gender & Youth Manager. She/he will be supporting USAID Boresha Afya Southern Zone program staff and council staffs in planning, implementation and monitoring and evaluation of adolescent and youth HIV and SRH activities including integration of adolescent friendly health services. Work with the Gender & Youth manager to identify high adolescents volume CTC sites to be supported under USAID Boresha Afya Soutrher Zone. Advocate for integration of Adolescent Friendly Health Services (AFHS) in in CCHPs and other collaborative partners programs for sustainability. Promote community mobilization to meanginful engage relevant stakeholders (Caretakers, Service Providers, CHWs, CBHSPs and Adolescents living with HIV) to improve ART adherence and retention for viral suppression among ALHIV. Work with the DRCHCOs to identify trained health care workers on ASRH to conduct ASRH and gender education outreach sessions in schools and out schools based teen clubs managed by USAID Boresha Afya Southern Zone. Work with CSOs to support HIV positive children and adolescents to access group based psycho-social support. Provide technical assistance to R/CHMTs, CSOs and other USAID Southern Zone consortium partners in establishing and supporting ASRH teen clubs established by the program. Ensure availability of existing national policies, guidelines, strategies, protocols and SOPs related to HIV and RCH services for pediatrics, adolescent to all scale up councils under USAID Boresha Afya Southern Zone. Work with M&E team to ensure analysis of monthly and Quarterly HIV and ASRH cascade, disseminate and promote use of data in implementation of activities to the project team. 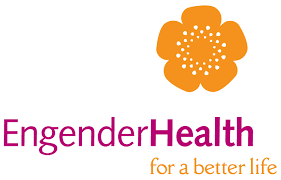 Assist the Gender & Youth Manager in preparing project program workplan, quarterly and annual reports that inform actual implementation and progress on adolescent and youth SRH/HIV interventions of USAID Boresha Afya Southern Zone. The incumbent candidate s/he is expected to have a university degree (BA, BSc) in a related, relevant field (e.g. public health, international development, social sciences, anthropology, or a related field), and a Master's degree in a relevant field. Minimum of 5 years of progressive experience in providing technical assistance in areas related Adolescent and youth sexual reproductive health. Experience working for international agencies and USAID-funded health programs is preferred. Experience designing and implementing Sexuality, youth friendly and gender transformative programming. To Apply: Please visit the careers page at www.engenderhealth.org to submit you details online by 17th March 2019.